We hold a sound infrastructure setup at Meerut (Uttar Pradesh, Delhi). To ensure hassle free flow of production process, we have thoughtfully segregated our setup in different units. Each unit has been provided with latest and cost-effective machinery and facilities that are proficiently handled by well-versed professionals. All segregated units work in close coordination, subsequently making us to carry out bulk production with precision. Furthermore, we have connected our unit with all the major shipments modes of the city so as to make timely delivery at the clients’ end. Being a client-centric organization, we value divergent demands of the clients. That’s why we facilitate them with customization facility of Sports Accessories, Equipment and Miniatures as per their detailed specifications. Our production team interacts with the clients and thoroughly analyzes provided specifications and details. Then, they make striven efforts to come with suitable and desired solutions. 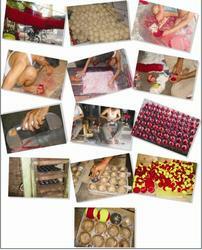 We provide customization facility in terms of raw material, sizes and designs as per the requirements of the clients. 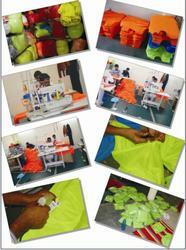 Furthermore, we provide this facility at economical prices suited to the budget of the clients.